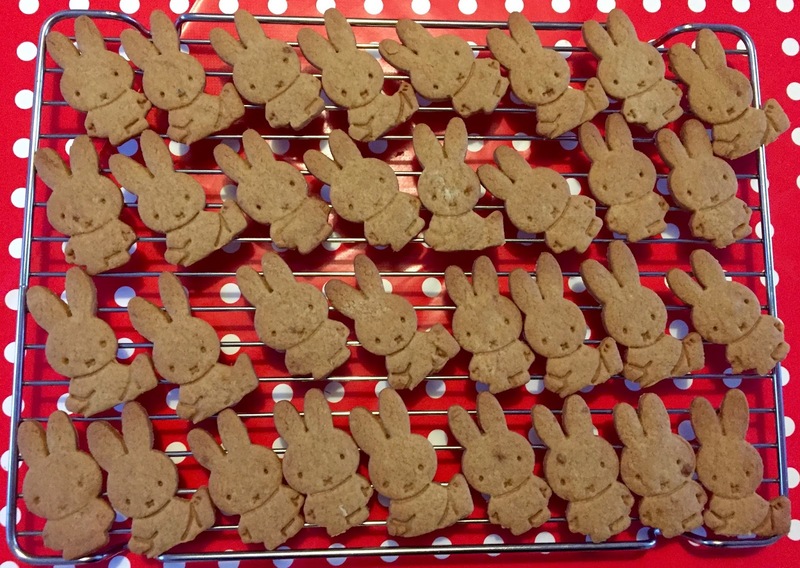 I know chocolate eggs are the usual Easter treat, but how about these gingerbread Miffy biscuits? Preheat the oven to gas 4, 180°C, fan 160°C. Line two baking trays with nonstick baking paper. 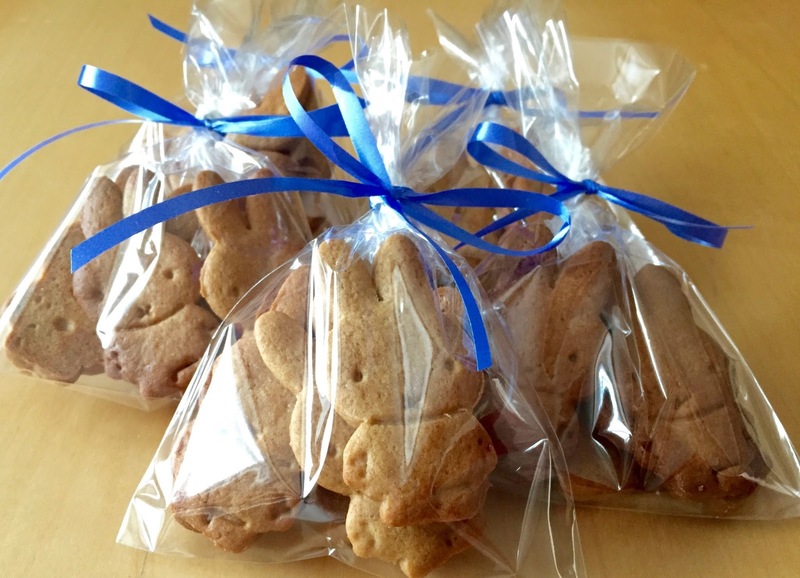 In a food processor, mix the flour, bicarbonate of soda, ginger and cinnamon. Add the butter and pulse until it has been incorporated. Add the sugar and pulse a further 3-4 times. In a bowl, put the dry ingredients in a mixing bowl and rub in the butter with your fingers. 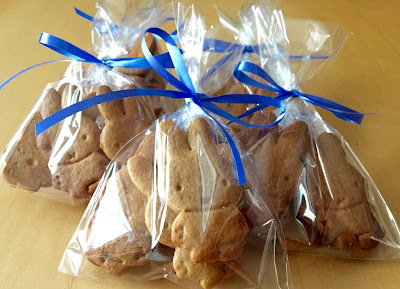 Mix in the remaining ingredients with a wooden spoon, before bringing the gingerbread dough together by hand together the egg and golden syrup with a fork. (Alternatively put all the ingredients into the food processor and whizz until the mixture comes together in sticky clumps.) Shape the dough into a ball and wrap in clingfilm; chill for 30 minutes. On a large sheet of lightly floured, nonstick baking paper, roll out half the dough to roughly the thickness of a pound coin. 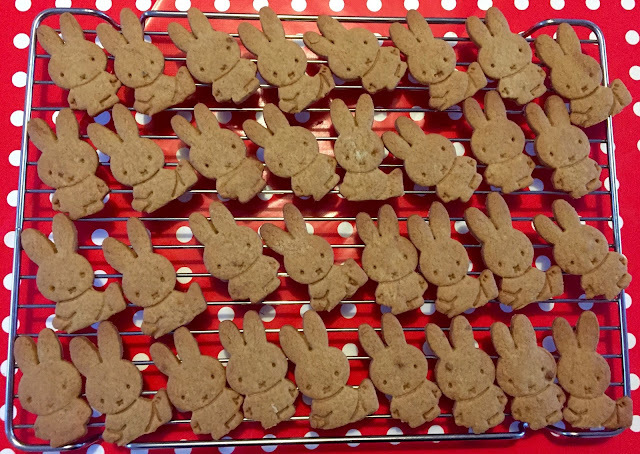 Using a biscuit cutter, (I found a Miffy biscuit cutter on eBay) stamp out some shapes. Arrange on one of the prepared trays and bake for 10-12 minutes, until golden. Transfer to a wire rack to cool completely. Repeat with the remaining dough.